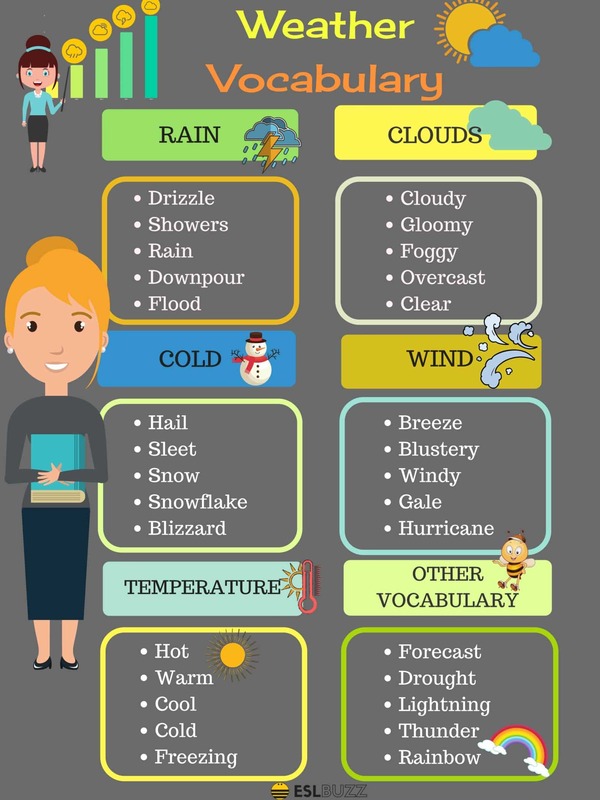 Below is the list of common phrases showing how to talk about the weather in English you should learn. Talking about the weather can be a good way to strike up a conversation with just about anyone, even complete strangers. It’s so nice out today, isn’t it? The weather’s nice today, right? So hot for this time of year. I heard it’s supposed to be sunny tomorrow. That’s good, right? Wow, it’s really (Raining/pouring) out today! Did you get caught in the rain? I can’t believe the fog! Did you have a hard time driving today? It’s freezing out today. Do you think it will snow? It’s a bit chilly. Wrap up warm. It’s quite fresh – take a jumper. My car’s iced up, it’s that cold. It’s so hot! It must be over 80. It’s nice in the sun. In the end remember that you can always start a conversation with someone by making a remark about the weather. Try to use this to interact with others, especially people you don’t know.